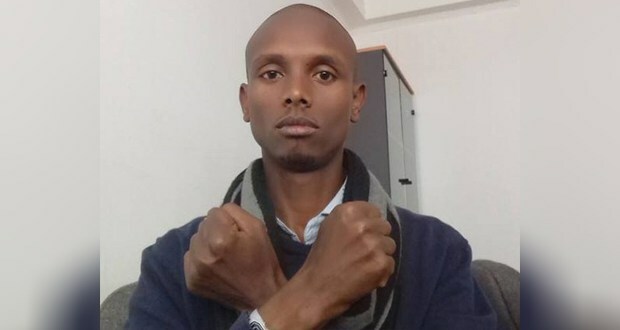 Addis Standard (Addis Ababa) — Security member of the command post established to oversee Ethiopia’s six-month State of Emergency have this morning re-arrested human rights activist and blogger Befeqadu Hailu, Addis Standard confirmed. According to information, two security officers who have identified themselves as members of the command post have taken Befeqadu around 6:00 AM this morning. He is now detained at a police station known as 06 here in the capital Addis Abeba. Befeqadu is a member of Zone9 blogging collective and was one of seven bloggers (one in absentia) and three independent journalists arrested in April. Three months after their arrest all ten of them were charged with Ethiopia’s infamous Anti-Terrorism Proclamation. After a year and a half trail which was largely marked by several inconsistencies and prosecutor’s inability to provide concrete evidence, a federal court has cleared all of them in July 2015. However, upon appeals from the prosecutor Befeqadu and four of his co-defendants (Natnail Feleke, Atnaf Birhane, Abel Wabella & Soliyana Shimelis, the later in absentia) were re-appearing at the Federal Supreme Court. The hearing was adjourned for the fifth time until Tuesday Nov. 15. Befeqadu was also facing another criminal charge for allegedly “inciting violence” to which he was released on bail. It is not clear if his re-arrest has anything to do with both cases. Since Ethiopia declared a six-month state of emergency detentions of opposition party members, journalists and rights activists have increased significantly. Thousands of ordinary Ethiopians are also currently held in dire circumstances inside several detention camps throughout the country.